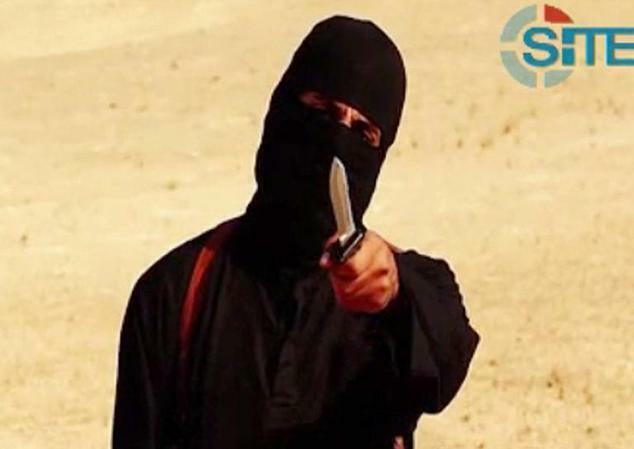 Over the past couple of weeks, British security services, along with the FBI, revealed that they had ‘unmasked’ the ISIS terror video persona known as ‘Jihadi John’, and had even known his identity for the last 6 months. While this news stunned the international community – it was quickly revealed that the man suspected of being the ISIS front-man was known by MI5 for the past 6 years. The man purported to be the infamous ISIS executioner by Western media, is former computer programmer, 27-year-old Mohammad Emwazi. According to reports, Emwazi is believed to have left the UK to join ISIS militants in Syria sometime in 2013. However, some reports have stated that Emwazi was headed to do aid work in Turkey in 2013. Emwazi’s parents reported him missing in August of 2013 and were told that he was in Syria by authorities some four months later. Following the alleged unveiling of Jihadi John’s identity, Kuwaiti government officials disclosed that Mohammad Emwazi’s parents recognized him in the propagandized ISIS ‘beheading’ videosand that they knew of their son’s alleged extremist views before he headed to Syria, according tothe UK’s Telegraph. 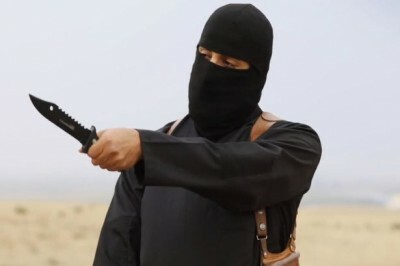 In the news release for the Telegraph entitled, “Jihadi John: Father accuses Mohammed Emwazi of being a dog and terrorist,” written by Robert Tait, discussed a controversial interview with an apparent colleague of 51-year-old Jassem Emwazi, Mohammad’s father. The colleague was stated as being 40-year-old Abu Meshaal and he along with Jassem, are said to work together at a ‘Cooperative supermarket depot’ near the Kuwaiti-Iraqi border. Meshaal gave a stirring account of the elder Emwazi’s emotional state regarding his estranged son, seemingly paraphrasing a personal conversation that both men had about Mohammad and his suspected involvement with militants. “The colleague, Abu Meshaal, 40, said Mr Emwazi was in tears during Monday’s conversation, in which he described the identification of his son as the hooded executioner filmed beheading seven British, American and Japanese hostages as a “catastrophe” for his family. The report goes on to state that Emwazi’s father, Jassem, was ‘interrogated’ by Kuwaiti investigators last week and that he received a phone call in 2013 from Turkey, where Mohammad asked his parents’ blessing before heading to Syria to fight alongside ISIS and other militants. Additionally, Kuwait’s Qabbas newspaper apparently spoke to another unnamed colleague which claimed that Jassem Emwazi had been ‘concerned’ long before his son was charged with being an internationally known terrorist. The controversial report echoed across Western media outlets, with many citing the alleged quotes from Jassem Emwazi and other colleagues as being more evidence of Mohammad Emwazi’s descent into terror. However, just one day later, Jassem Emwazi hired an attorney to stifle what he called ‘false rumours’ concerning his son and family in media. In fact, two of the first news releases to push the apparently false narrative, appeared to come from an ABC news story which claimed Emwazi’s mother knew her son was Jihadi John and the Telegraph story that was mentioned above from March 3rd. The apparently ginned-up story involving Emwazi’s family garnered heavy circulation for 24-48 hour period, but was quickly buried in the news cycle following the conflicting account of Emwazi’s father. After reviewing this information, we’re left to consider the strong possibility that the Emwazi family quotes were likely planted in order to sensationalize and further distort public opinion over the ‘reality’ of Jihadi John’s alleged identity. The current deception concerning the Emwazi story, appears to have been influenced by Western interests and reminds me of another fabled Kuwaiti tale that was used to sway public opinion in 1990. On October 10th, 1990, Nayirah al-Ṣabaḥ, the daughter of Kuwaiti ambassador for the United States, Saud Al-Sabah, provided a tearful testimony that turned out to be false, as she claimed to have witnessed Iraqi soldiers taking babies out of incubators in a Kuwaiti hospital during the Iraq invasion of Kuwait. This was the lie that Washington and its PR strategists used as a pretext for the Gulf War in 1990, pre-dating the WMD lie that was used to invade Iraq in 2003. Like in 2002-2003, similar pressure by US military interests to mount a renewed war in the Middle East is clearly underway again – and again, Kuwait is playing a central role in ramping-up the drama. Following graduation from the University of Westminster, Emwazi is said to have been scrutinized and targeted for recruitment by Britain’s main intelligence agency MI5 after a planned safari with friends in Tanzania in May of 2009. After Emwazi’s treatment by authorities, he was said to have reached out to the human rights group CAGE. Strangely, new reports have emerged stating that the reason for Emwazi’s detention and expulsion from Tanzania, according to local authorities, was because he had been drunk and disorderly while insulting immigration staff upon his arrival. According to the home affairs minister in Tanzania, a document names Emwazi, Ally Adorus and Marcel Schrodel as having been drunk and displaying misconduct after their arrival in Tanzania. However, it should be mentioned that Tanzania authorities have close ties to Britain and this information should be examined more thoroughly. Mohammad Emwazi’s relationship with the advocacy group CAGE and its research director Asim Qureshi, has stirred up a wave of controversy, along with the timed release of Emwazi information. CAGE’s dissemination of Emwazi material seemed to be simultaneously tied to the ‘official’ release of Emwazi’s identity by authorities. This is a key aspect to consider when looking at the many ‘moving parts’ in this case. Recently, CAGE released an eye-opening tape recorded session with Mohammad Emwazi, and it was disclosed that MI5 agents had been tracking Emwazi and had confronted him, accusing him of having extremist views while actively seeking to recruit him to spy, or ‘inform’, presumably on other Muslims. The newly released material from CAGE depicts a man who appears to have been harassed, and one could even consider the very real scenario where Emwazi was coerced into alleged violent activity and joining to terror group ISIS. The recent Emwazi revelations have only added to the confusion, as security services also have a close relationship to CAGE and given the overall impact of this story – any information released from either entity should be closely examined for its authenticity. Another element to scrutinize in the Emwazi story, is that shortly after Mohammad was named as being Jihadi John, conveniently an “unnamed former school friend” is claimed to have recognized Emwazi as the terror presenter. The friend explained that he first met Emwazi in 1999 when both had attended the recently scandal plagued institution Quintin Kynaston Secondary School in St John’s Wood, North London. There have been at least two other former pupils at Quintin, that have also been implicated in terrorism, prompting some to be concerned about the institution. Is it possible that this school was being used the groom future subjects in clandestine operations? Back in 2009, UK intelligence services in partnership with Metropolitan Police, announced the existence of a covert social engineering effort known as the The Channel Project, which was being run in hopes to target children with traits which may indicate an attraction to “extreme” views and a susceptibility to being groomed by “radicalisers” in the future. It goes without saying, that a secret program of this kind could just as easily be used to groom future ‘radicals’ and informants too. Emwazi is said to have been recruited to an unnamed ‘international terror gang’ sometime in 2012 by Mohammed Ahmed Mohamed who lived just a couple of miles from Emwazi’s Queen’s Park, West London home. “Emwazi’s network spreads even further. A file seen by The Mirror shows a direct link between Ahmed Mohammed and two al-Qaeda killers. One of the men, Saleh Nabhan, was behind the 1998 US Embassy bombings in Kenya and Tanzania that killed 250 and the 2002 attempt to bring down an Israeli airline with Stinger missiles. The same Mirror report from February 27th continued by explaining how Ahmed Mohamed met Mohammad Emwazi at a mosque, prior to Emwazi’s apparent radicalization some 3 years later. Is it possible that Ahmed Mohamed worked as a security services asset and that MI5, in conjunction with other groups, sought to recruit Emwazi at least 3 years prior to his detention in May of 2009? Interestingly, is was reported that Ahmed Mohamed’s control order was quashed in the Court of Appeal in May of 2014, while Mohamed was still seemingly absent from the UK. As we reported last week here at 21WIRE, Emwazi’s longtime West London associate, former UK rapper Abdel Bary, the initial ‘Jihadi John’ suspect, had also been linked to the ‘London Boys’network, along with Emwazi. We were told that Emwazi had “fled the gaze of MI5” in early 2013 to head for Syria, around the same time Bary disappeared from London – also near the same time that ‘burkha wearing’ Ahmed Mohamed gave the security agency the slip, escaping after being implicated in several terror plots. How would it be possible for all three of these men to thwart MI5 and escape undetected from the UK, as they would have mostly certainly been closely watched considering their connection to theLondon Boys sleeper cell and the apparent affiliation to al-Qaeda and al-Shabaab? Western political leaders and their media will publicly discuss the idea of so-called terror ‘sleeper cells’ ad nauseam, hiding in a nation near you, but none of them will acknowledge the historical fact that they themselves help to harbor, grow, foment and radicalize individuals through secret counter-terrorism operations. Allied nations of course, will bring up the fact that Western intelligence regularly uses double agents and informants, under the banner of ‘security’ to obfuscate the true intentions of such programs – always careful as to how they paint Western foreign policy aims. According to reports, the London Boys were connected to “planned attacks” at top London hotels as well as several other locations. It was previously released that a Somali cell was active in Britain and had been trained by Al Qaeda’s former leader in Africa, Fazul Abdullah Mohammed, the same associate of ‘White Widow’ Samantha Lewthwaite, at a camp in Mogadishu in 2006. Rather conveniently, there were blueprints that specified certain British targets found with Fazul, when he was killed during a gunfight at a police checkpoint in Mogadishu in 2011. Other reports suggest that security services were not able keep track of Emwazi when he relocated to Syria, because of the recently abolished anti-terror control orders in the UK. Will the latest Emwazi drama be used to tighten terror control orders? “According to Dr Noman Hanif, a lecturer in international terrorism and political Islam at Birkbeck College, University of London, and an expert on Hizb ut-Tahrir, the group’s presence in Britain likely provided many opportunities for Western intelligence to “penetrate or influence” the movement. Dr Hanif, whose doctoral thesis was about the group, points out that Husain’s tenure inside HT by his own account occurred “under the leadership of Omar Bakri Mohammed,” the controversial cleric who left the group in 1996 to found al-Muhajiroun, a militant network which to this day has been linked to every major terrorist plot in Britain. It has been documented that Anjem Choudary and Omar Bakri the founders of Al-Muhajiroun, a terror labeled organization that was banned, are linked to British intelligence. In a recent BBC report, an alleged former ISIS fighter was said to have defected from the terror group. A man calling himself Abu Ayman, has come forward claiming to have met Emwazi in Syria. The is the media’s key link which closes the Emwazi circle. The report was splashed across media outlets worldwide, with most treating the alleged fighter’s word as being 100% truthful, even though his identity was not confirmed. However, one should consider Ayman’s role in all of this and why he would come forward to support the Western narrative of Jihadi John – without any hard evidence to prove Emwazi is Jihadi John. Something else to consider: If Ayman has actually defected from ISIS and presumably returned to a Western nation, why wouldn’t he be arrested for his involvement with the terror group? In another, almost buried report, we were told the unlikely scenario – that Jihadi John allegedly ‘reached out’ to Western media outlets via a third party in Syria, to apologize for the trouble his identity has caused. While the report attempts to be a serious piece of journalism, the story reeks of PR strategist’s attempting to validate the unmasking of Jihad John as Mohammad Emwazi, through a cheap parlor trick (planted story) directed at Western audiences. This newly cooked-up report claimed that a masked ISIS militant known only as “Saleh”, provided the otherwise unverifiable execution details.